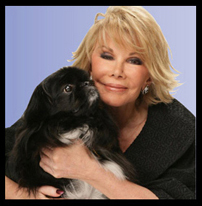 Joan Rivers is one of the most remarkable people I know. She is constantly reinventing herself as a humorist, as an actress, as a writer, and as a woman. And each time she comes out of the gate, she comes out stronger than she did the time before. We are kindred spirits, blessed with the same family values, the same regard for the absurd, the same over-abundance of energy. No one risks as much as she does on stage. Politically correct prisoners are taken, yet forgiven. Her capacity audiences are shocked, comforted, spellbound. To me she embodies the spirit of Lenny Bruce. In her daring she all but declares herself as his legitimate successor. She also produces extraordinary costume jewelry, a small library of relentlessly entertaining books, and an exceedingly engaging blog. But hey, don't take my word for it -- just click on www.joanrivers.com. And enjoy. 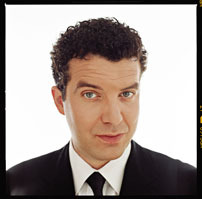 Rick Mercer is the funniest man in Canada, and you have the whole country's word on that. Millions tune in to watch him on television every week, and are seldom if ever disappointed. The rest of us come home after a hard day's work thinking about all the things we should have said, if only we'd thought of them at the time. Rick Mercer thinks of them at the time, and much to our delight, he says them out loud. As if that weren’t enough, his celebrated rants have produced more than one bestseller, and the number of hits he receives on YouTube boggles the mind. He also writes one of the most quoted blogs on the web. See for yourself what the fuss is all about -- with links to his most outrageous moments on camera -- at www.rickmercer.com.